As you guys know if you want long wearing crease proof and stunning eyeshadow look you need to use a primer potion. You may remember awhile back I did a review on the Primer Potion in Eden, and how I was not happy with the packaging it had. 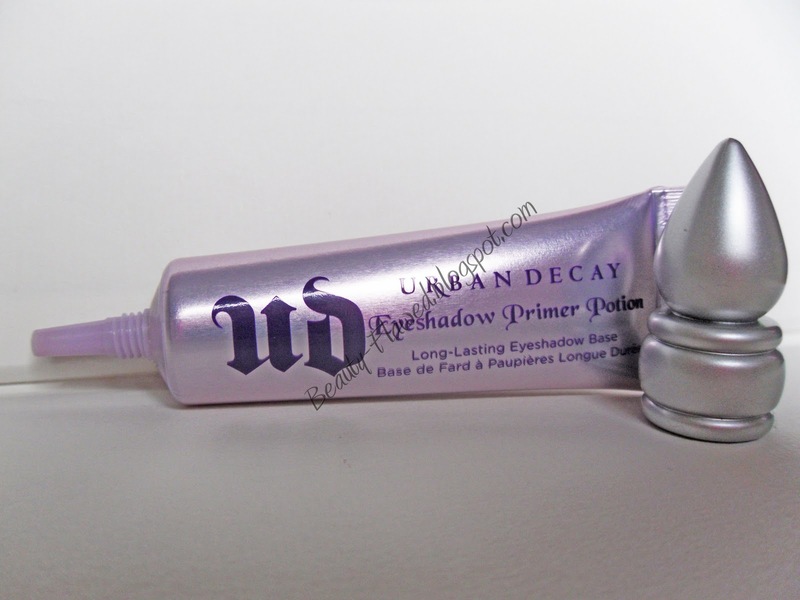 Well Urban Decay has fixed that problem and came out with a tube for the primer now. I picked up the Original when I was at Sephora a few weeks ago to change things up a little. I really love that these primer potions are creamy and crease proof. They make a huge difference when using vibrant shades as well and help them come out to their true potential. Eden is really great for matte colors and neutral day looks while Original is an all around multi-tasker. No matter what color eyeshadow your using this will make it look stunning. I really like this formula as well because it never makes your lids feel heavy or greasy. I've used many other brands of primers in the past that always had that down fall, that is no more with Urban Decays' Primer Potion. With Original once you blend it all over your lid it is pretty much colorless, the photo below is a shot of the potion before I rubbed it in I wanted you guys to be able to see what it looked like right out of the tube. Once I rubbed it in even over the black of my tattoo you could barely tell it was there and I could not get it to show up in a picture. Even tho you can't see it you will know its there and see how wonderful it works after you've had a long hard day with your makeup on. Again this product is available in three other colors Eden, Sin, and Greed. 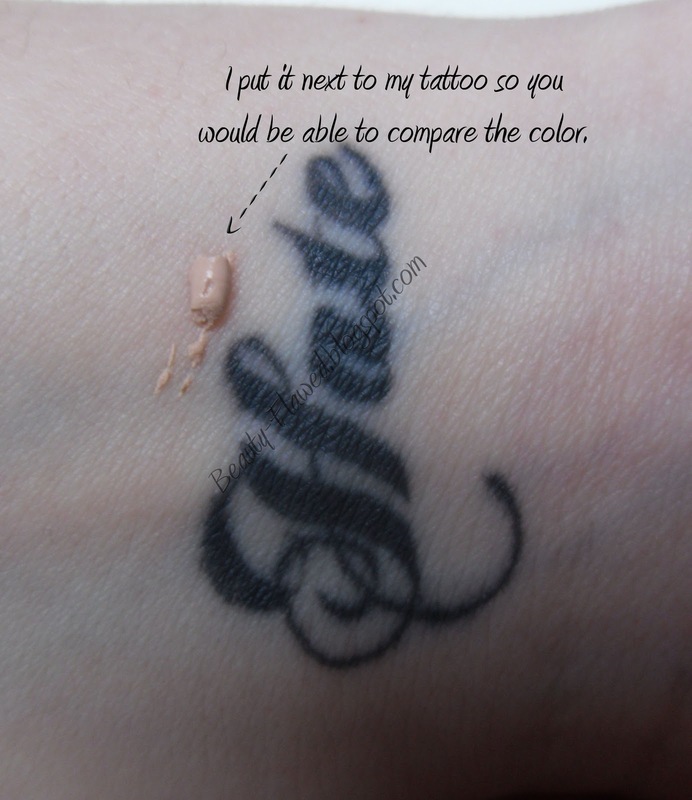 I have used Sin in the past and it is a champagne color with a shimmer. Greed I have not used but have seen in stores and it is more of a metallic gold color. For me I think I will stick with this one or Eden just because they really are my favorites and I love how versatile the Original primer is. This new bottle also contains a little more than its former genie bottle packaging so I hope it will last even longer since you'll have half the mess and more precise dispensing! So if your in the market for a new primer and have nothing but bad experiences with the other try this one out I promise you will love it! 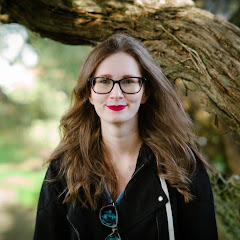 Hey thanks for the follow! I have to agree w/ you the packaging is way better now. You wasted so much product before and that doe foot applicator was just SO unsanitary! Aww yeah and its a lot easier to get out now so less waster=better value!